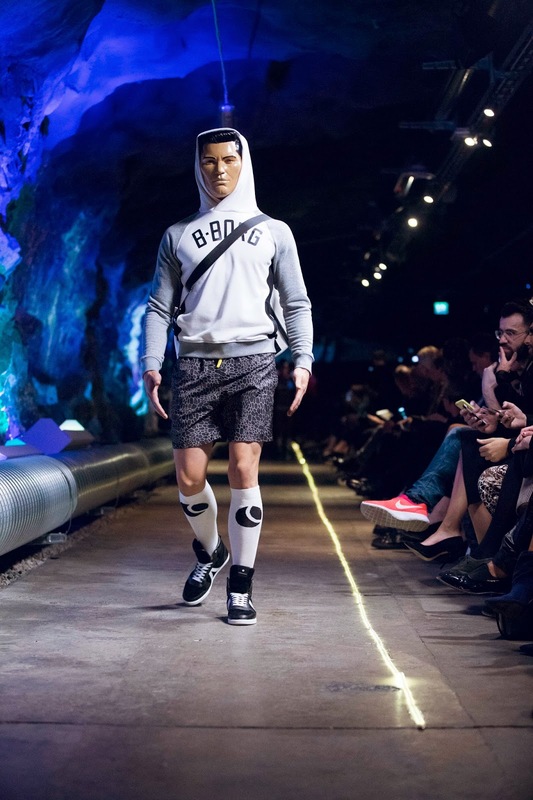 In impressive caves on an island in Stockholm, Swedish Fashion Brand Björn Borg, in collaboration with Creative Show Director Bea Åkerlund, treated the Fashion Week audience to an extravagant game-inspired runway show. Celebrating individuality, love and fashion in a digital era, the show served as a teaser for the Björn Borg ”First Person Lover” (not shooter!) computer game, releasing worldwide in January 2015 together with the brand’s SS15 collection. If you are up on the cutting edge of active fashion, you are familiar with Björn Borg. Edgy, balanced and exciting to wear, watching the runway show is a captivating experience. Although Ideal PR Media could not be in Sweden to see this show in person, we appreciate Sara of Patriksson Communication for making sure we had all of the images and videos from the event .